Don't miss a thing! Hit subscribe to stay in the know about what's going on week-to-week at Bethany Church. 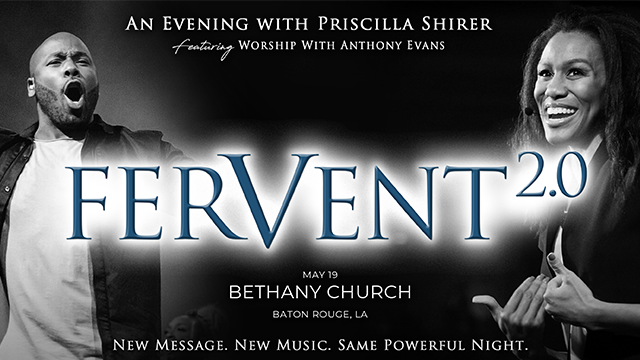 An evening with Priscilla Shirer featuring worship with Anthony Evans! *Early bird discount of $5 off general admission or preferred seating purchase through February 7 with code FERVENT. Groups of 20 or more receive $5 off general admission or preferred seating purchase. No discount is available for VIP purchases.